Now I have that song stuck in my head! As school let’s out for summer, I know the last thing on your mind is the condition of your plumbing, I know it wasn’t for me as my child was released for summer vacation. All I was thinking about was how I was going to manage a little one all summer without letting him sit in front of a video game. With your busy life in mind, I want to help you avoid big repairs this summer. Quarterly plumbing inspections for both commercial and residential properties are incredibly important. Just like catching the oil in your car is low before your engine blows and costs you thousands of dollars, a quick check of your plumbing system on a quarterly basis can prevent big costs on flood damage. What does a quarterly plumbing inspection entail? It is quick and relatively painless, and requires no tools other than a dry paper towel, yes you read that right, you’re going to need a dry paper towel. One of my very best money-saving plumbing tips is inspecting your home with a dry paper towel, which you can read about here and even listen to a radio interview. Summer Plumbing tips in Phoenix – get prepared for hot plumbing! 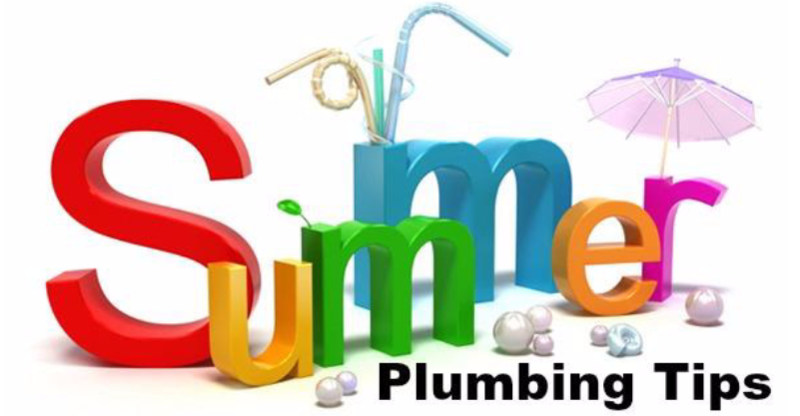 Here is our article on Summer Plumbing tips to keep your family safe this summer and your plumbing in great working order. Enjoy your summer this year, well as much as you can with the intense heat we have. Annual plumbing inspections are more in depth, and if you’re a Loyalty Member you can schedule your plumbing inspection with us as part of your membership. This service is valued at $189.00 and is included annually only for our Loyalty Members, it is super easy to sign up and save. Our Loyalty Program is set up to save our Loyal Members money and doubles as a referral program. You can sign up with a few easy clicks here.